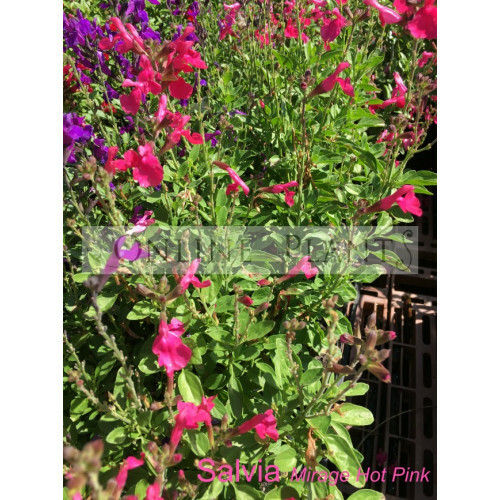 Salvia Mirage Hot Pink is a frost tolerant and heat tolerant summer perennial. 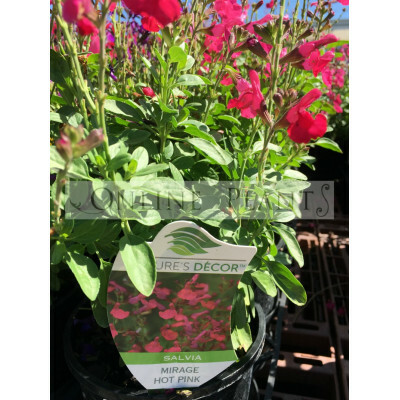 Wonderful for splash of vibrant colour in the garden. Plant in full sun in well-drained soil, and fertilize monthly. Height and width to 30cm.